Bill did NOT have a Police funeral. 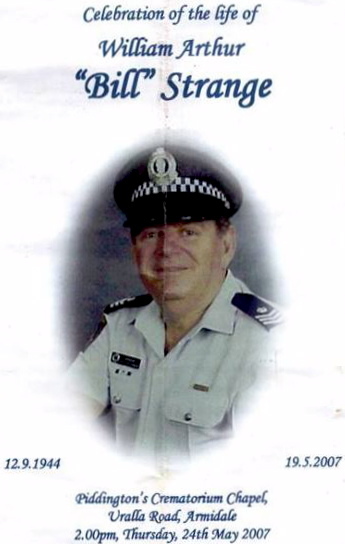 John Elfes: I did Bills eulogy, he did not have a Police funeral, Denise did not want any one in authority at the funeral due to the way he was treated at Armidale by the boss there. The only officers that attended were old workmates, I know who they are. He was cremated and his ashes are sprinkled on the graves of his daughter and son at Botany Cemetery.